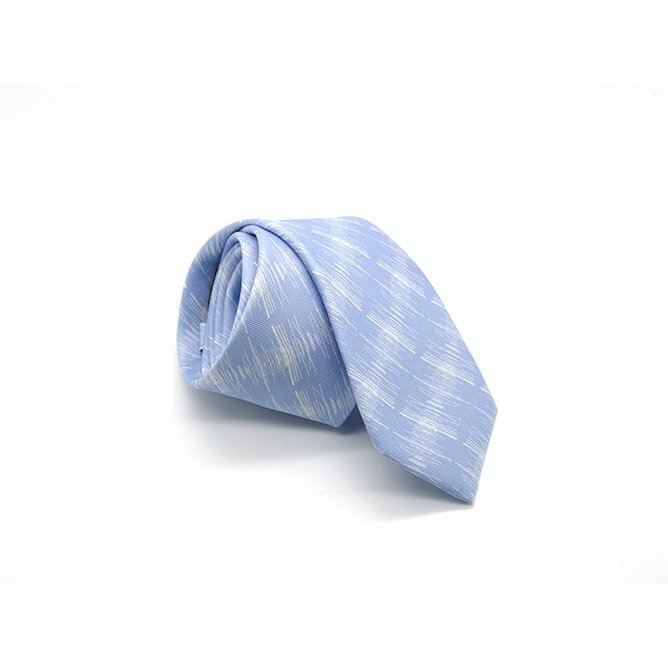 A silk tie in ‘Prufrock’ print. Inspired by a favourite T.S.Eliot poem, ‘The Love Song of J Alfred Prufrock’ first published in 1915. 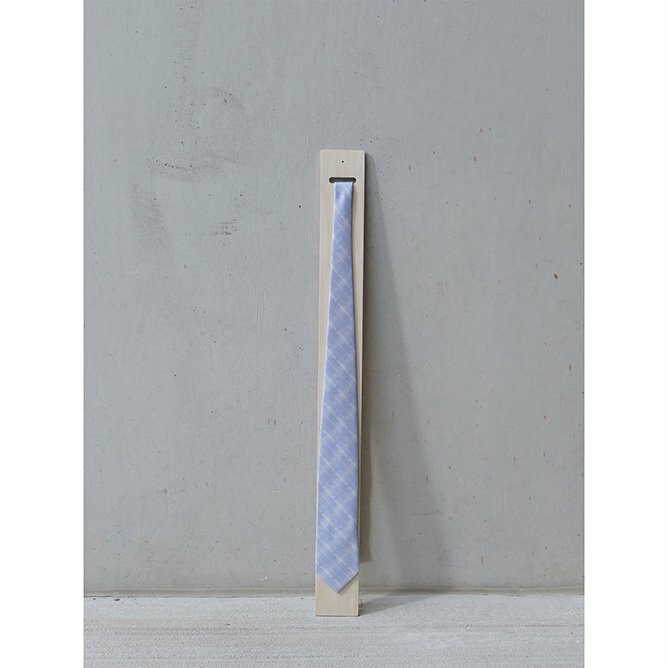 This is the ultimate summer tie or a tie for a wedding. The blue of the sea with white crests and a hidden sandy yellow stitch. Standard 152 cm (60 inch) length. Self-tipped and hand finished – with an unexpected colour bar tack on the reverse.